It's Wednesday---You know what that means! Time for Waiting on Wednesday, hosted by Jill at Breaking the Spine. This week I'm waiting on, of course, Mockingjay (really, who isn't totally pumped about 8/24/10?) 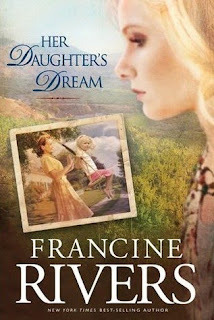 but I'm also excited about Her Daughter's Dream, by Francine Rivers. It comes out October 14, 2010. This is the follow-up to Her Mother's Hope, which I loved. 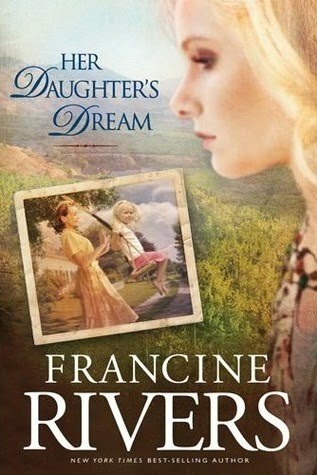 Francine Rivers writes such powerful, moving, inspirational Christian fiction with love stories that make me cry every time. She is one of my favorite authors! Make sure to sign up for our August Giveaways while you are here! Our giveaway for Radiance by Alyson Noel ends 8/12/10 and our giveaway for a "Fictional MEN Never Let You Down" t-shirt ends 8/31/10. I like the look of this one...it also sounds intriguing. I like the way you describe the authors work. I will definately need to put her on my list of authors to check out. I must confess I am guilty of not having read the Hunger Games yet, however I am in the process of remedying that this week before the last release. Also so love the title of your blog. I can not agree more. I love the cover of this book. It really pulls me in. I'll have to look into it as well as the Her Mother's Hope. Thanks for the recommendation and for stopping by my site today. lol, who isn't waiting on Mockingjay? That's my number one pick...it's almost here!! Thanks for stopping by blog again. :) I've never heard of this author either, but I agree with Jean, I like the cover with the insert picture. Have a great day! I can't wait to hear about Her Daughter's Dream. I really loved Her Mother's Hope and passed it on to my Mom who is also anxiously waiting for this new one! I don't normally read Christian fiction but I do love the cover for this book. I haven't read this series nor heard of the author. Christian Fiction is a genre I normally don't read, however have an interest in (if that makes sense). I think I will venture out and read a least one novel in this genre.